The 2011 Megalithomania South Africa conference took place in Johannesburg in March 2011. In March 2011 Michael Tellinger and Zulu Planet hosted the Megalithomania Conference in South Africa. A top line-up of international authors, visionaries and antiquarians came over to Joburg to share the latest cutting-edge research on the mysteries of the ancients. 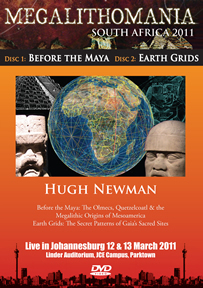 Graham Hancock, Andrew Collins, Robert Temple, Antoine Gigal, Klaus Dona & Wayne Herschel joined Megalithomania organiser Hugh Newman, and South African author Michael Tellinger to deliver a sensational account of what the ancients were up to.